A few weeks ago, I got an email back from one of our fans who said, “I heard this interview you did and I thought maybe I should volunteer to do an interview.” As I read her backstory, I couldn’t believe how much she’d done and I said to the team, “Find a way. Let’s get her on.” Here she is today. Caren Merrick is her name. She cofounded webMethods. It’s a pioneer in the business to business ecommerce innovation space. We’ll talk about what that means. She helped take the company public in 2000. It eventually sold to Software AG in 2007 for $546 million. She is a serial entrepreneur who’s still going. Her latest startup is called Pocket Mentor. It’s a mobile app for leaders like you, the person who’s listening to me who want to grow their teams and their businesses. Caren Merrick is the cofounder of webMethods, a pioneer in the business to business e-commerce innovation space. Andrew: Hey there, freedom fighters. My name is Andrew Warner. I’m the founder of Mixergy.com. It’s the place where I do interviews with real entrepreneurs where I dig into how they built their businesses for an audience of real entrepreneurs. The reason they listen is because they want to learn from each other. They want to hear how other founders are building their companies, pick up a few ideas and I was going to say use them directly to build their businesses, but sometimes it doesn’t work that way. Sometimes you hear the story, you absorb it. It becomes a part of how you think and it comes out in ways that you just don’t expect it. It just makes you smarter to hear and learn from proven entrepreneurs. And that’s the idea behind Mixergy. A few weeks ago, I got an email back from one of our fans who said, “I heard this interview you did and I thought maybe I should volunteer to do an interview.” As I read her backstory, I couldn’t believe how much she’d done and I said yes to the team. Yes, please, find a way. Let’s get her on. Here she is today. Caren Merrick is her name. She cofounded webMethods. It’s a pioneer in the business to business ecommerce innovation space. We’ll talk about what that means in a bit. She helped take the company public in 2000. It eventually sold to Software AG in 2007 for $546 million. She is a serial entrepreneur who’s still going. Her latest startup is called Pocket Mentor. It’s a mobile app for leaders like you, the person who’s listening to me who want to grow their teams and their businesses. This is an incredible story. Wait until you hear how much money they raised, how low they got and how they recovered from it. And it’s all sponsored by HostGator, the company that will host your website, and Toptal, the company that will help you find your next developer or designer. Caren: Thanks for having me. Andrew: Except the last name wasn’t on at that point in the about pages of the site. Caren: That’s true. You want to know why? Caren: Well, because we were already married by the time we started the business. By the way, on our first date we talked about starting a business. That’s another great story I can tell you. Andrew: Oh, we’re going to get into that. Yes. Caren: Well, we didn’t want to be perceived as a mom and pop. So, I reverted back to my maiden name. Now, every investor and every prospective employee and even the big customers, we told them all that we were married, but we didn’t want the people who didn’t know us or anything about us to just think that it was a little mom and pop, that kind of a small business. We really were wanting to make a big impression in the enterprise software. Andrew: Yeah. I guess in enterprise software you want that as opposed to other business where it helps to show that you’re the founder, that you’re kind of mom and pop, you care that much that you’re going to obsess about the business. Caren: Right. For example, on my new website, my latest startup, my picture is on the front page. It’s different. Andrew: Things really are different. It’s because of the kind of audience you’re going after and maybe even because of the times that we’re in today. I think back and I didn’t know this about you until I started looking at the notes from our producer who talked to you. You didn’t finish college until you were how old? Caren: 28. I didn’t even start until I was 25. Andrew: So, the part that was shocking to me was why you didn’t and then how you ended up in college. Why didn’t you get to finish college? Why didn’t you get to start college until you were in your mid-20s? Caren: Well, what happened was during my senior year, my parents’ marriage just dissolved. It was really traumatic. We had all been a very close family. We still are a very close family. And I just wasn’t ready to put myself through college. Because of the divorce, they couldn’t help me. So, I decided to go to work and to travel. I finally realized I’ve just got to bite the bullet and do it. I was resisting. I don’t think I was ready to live at the poverty level and support myself in Los Angeles. I spent more actually on housing than I ever did on tuition or books. Andrew: Why did you even want to go to college? It seems like you were a pretty smart person who was getting by in the world already into your mid-20s. Why bother going to college? And before you answer, can you tilt your camera up a little bit. We’re cutting off the top of your head there. There you go. Caren: Can you still hear me? Andrew: Yeah. But if you’re going to step back, then you can tilt it down a little. Caren: Okay. I’m on my treadmill desk, by the way. Can you see me okay now. Andrew: Oh, yeah. Now you’re coming across clearly. So, yeah, why even bother going to college? You seemed to be doing well for yourself at that point in your life. Caren: Well, I always felt like I was missing out on something because my mom always told me–and I was actually the first woman in my family to get a degree–but she always said to me from the time I was very young, “Caren, you’re going to be the one who goes to college.” So, I guess I felt like I had this unfinished business. I felt like there was sort of a ceiling in my life and I actually had to overcome this fear and get the confidence to say, “I can bit the bullet. I can make all the sacrifices. By then I was earning a decent income and I had to give up and go to college. I was older than everybody else, but I did it in three years. On that day when I graduated from UCLA, I thought there is nothing that I cannot do. I can do anything. Andrew: Was it worth it? Did you really learn enough to justify all the sacrifices, both time and money? Caren: Absolutely. For one thing, UCLA is a wonderful school. So, being a member of the alumni there is something that really helped me early in my career to list on my resume that I had gone to UCLA. It helped propel me into management. It opened doors that would never have opened for me professionally. So, I went back and did some career exercises. I had worked in the placement and career planning center at UCLA. So, I thought–that’s when I learned, doing these career exercises, that’s why I believe in this so much. That self-discovery showed me all of the indicators were that I was an entrepreneur. So, that’s when I started to make a plan to start my own business. Andrew: To start your own business. By the way, before we move on, you’ve got to say how you were able to pay for school. You went on a TV show. Andrew: When I was a kid in school, I remember if I was sick, I would get to stay home and watch reruns of that show. It was pretty fun. Andrew: Oh wow. That’s pretty cool. So, you were working at agency where you met your husband and you said in the beginning, early on when you met him, you started talking to him about a business you had in mind. What was this conversation like back then? Andrew: And you knew from the beginning that you wanted to start a business together? Just hearing someone wants to start a business and knowing you want to start a business doesn’t necessarily meant that you guys could deal with each other on a day to day basis working together and living together and dating and all that. Caren: Right. Well, here’s what happened. At that time, we started talking about the kinds of businesses we might want to start. Then we dated for seven months, got engaged and four months later, we were married. So, there was a lot going on. Then during my first year of marriage, I did start a business. I started my own marketing agency called Creative Marketing Alliance. And my husband’s mom–this is where real life comes in–she was diagnosed with a terminal illness. So, we put everything on hold, rented out our townhouse and moved to Australia. While we were in Australia, my husband and I worked together on a software company. I actually landed one client first and then he was VP of engineering and they asked me to come over and do marketing for them for a company, a software company in Australia. Andrew: What was the original idea behind that business? When you were just dreaming about it, what was it? Caren: I think it was really about–the original product idea was my husband’s because he was doing integration software within a company. He said, “You know, the internet has opened up this whole new platform to integrate businesses, not just internally but externally.” So, he developed a little web automation toolkit and he threw it up there online as a freebie and people started to download it. A lot of early adopter developers loved it. Andrew: Can you give an example of what the software that he built internally did? I sometimes understand things better through examples because it’s easier to visualize. So, the internal software that he built, what did it do? Caren: That internal software helped, say, the payroll system speak to the HR system. We take for granted that everything fits together like it does now, but it didn’t used to. Still today, you have companies who have these silos of information. Certainly you, Andrew, know. Your small business probably has silos of information and wouldn’t it be great if that information could talk to each other? Andrew: Right. I was going to say that even today it doesn’t exactly work perfectly. You still need to use a third party piece of software like Zapier to integrate them. I see. So, someone would have maybe a person’s name and address in HR software and then in payroll how much that person needs to get paid and you need some way of making sure that if the address is updated in the HR software that it’s also updated in the payroll software and vice versa. I see. We’re obviously coming up with a really simple explanation, but that is the kind of stuff that he was working on internally. So, then he creates a piece of software that he creates online for free that allows people to do that kind of integrated too? Caren: Yeah. So, here was the first–it was called the web automation toolkit. So, the first thing it was doing was very simple but it was pioneering. Now we all take it for granted. He created an app that could go out onto the web, take a tracking number from UPS and bring that into your web browser. Now, we do that all the time. You can click it from your email. But that didn’t exist. So, DHL was one of the customers who downloaded the toolkit and said, “Oh my gosh, I can integrate this in my customer apps.” So, in the old days it was called web scraping. Now there’s a whole business called web services. Now everything is in the cloud. But this idea was one of the original ideas. Because it was one of the first ideas and we kept building it and building it and our wonderful customers kept saying, “Can you do this? Can you do that?” And we collaborated a lot with them. When business to business ecommerce, when that huge tsunami came, we were already shipping a product. And it was a [inaudible 00:12:26]. Andrew: So, the first version you created, when DHL used it, did they use it for free too or did they pay? Caren: Initially they did use it for free and then they were our first big customer. I think they paid $27,000 for it, as I recall. Andrew: And when they pay for something that you’re giving away for free, I imagine it’s them saying, “We’d like these extra features. Can you build it for us?” Is that right? Caren: That’s exactly what happened. As the product developed, we worked closely with them and developed the product and then it became a real product. What they were getting was far beyond what the free customers were getting. Caren: No. By that time, it was a business. By that time, we had the early stage angel investors. We had a lawyer. We used to do our board meetings at our coffee table with our lawyer and our angel investors, some of whom we had known for many years and had been mentors already to us. So, we were building the business. We had some fantastic, smart people who have great integrity. They sort of introduced us to their whole network of very smart people. So, yeah, by then it was already a real business. It was still in the basement, though. Andrew: Yeah. I was going to say, you literally did build this business in the basement and then eventually took it public on NASDAQ? Caren: Yes. It did. It started in our basement. Then we bought office furniture, old used office furniture at Aaron Rents for like $25 a desk. We found very inexpensive space that was as is in Fairfax, Virginia. Being from Virginia actually was a real impediment to us. People would say to us as we went around trying to find venture funding, “No one has ever heard of you or Fairfax, Virginia. We want to invest in companies from Boston or Silicon Valley. You move to Silicon Valley, we’ll invest in you,” things like that. Andrew: Why didn’t you move? 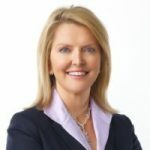 Caren: We actually seriously considered it, but we felt that the culture in Silicon Valley was such that with people moving around so much, we thought we would have a more loyal employee base in Fairfax, Virginia. There are a lot of really smart people out here. Andrew: That probably proved to be true, right? Caren: It did. [Inaudible 00:14:43] in a Silicon Valley company and doubled the size of our business at the time. I think we were close to 400 people and we acquired a company of a similar size. So, we did have a fairly big footprint in Silicon Valley. Andrew: Business to business, especially this kind of software is so intimidating until I hear it broken down the way that you explained it. But the sales process is stilt to me like a big wall. Was it easy for you to get through that wall? Was it easy for you to find your first customers? Caren: The first customers were the early adopters. They were the ones who had really savvy technical people and business people who understood the value of technology. So, they wanted to be first to market. They wanted the competitive advantage. They had a culture of wanting to be the first. I will say this though, we also had customers–you remember there was this whole internet bubble that occurred? Well, what happened is there were a lot of companies out in Silicon Valley who did get funding. They were companies like BabyGorilla.com that we talk about a lot. It’s still iconic company. Andrew: I don’t know it. So, we actually had to eventually turn away a lot of venture-backed startups because what we wanted was the Holy Grail of global 2000 because we wanted these global companies that had huge training networks. All of their networks would install our software. If the mother ship was running our software and they liked it, then they would bet eh hub with the spokes. Andrew: Meaning the suppliers would then have to buy too. Caren: Suppliers, partners. If they wanted to, it wasn’t necessary, but everybody wanted to integrate their systems eventually. Eventually there was this demand that was created. We changed our model to go with the hub and spoke. There are certain businesses where that model would be ideal, the hub and spoke model. Andrew: Like what? What’s another business where that would be ideal? Caren: That’s a good question. I’m from the enterprise software world and now doing consumer software. I think the essential message there is who are your partners and how are your partners going to open up their network to you. How can you make it so essential? For us, it was software within trading networks that already existed but the trading networks were made more efficient and were made stickier. Andrew: Okay. I want to come back and talk about how you got these hubs that ended up bringing the spokes into your company as clients. But I realized I didn’t spend enough time on funding. How did you get funding? Did your first funding, if I understand it right, come from family? You went to your dada and you asked him for an investment? You did. And by that point in his life, he had enough money he could give you to help you start this business even though he wasn’t able to help you with college? Andrew: Friends and family-type money? Caren: That just got us launched. Caren: And then we started to go after bigger groups of angel investors. Word got around and so we did bigger angel events and then we went after venture funding. That’s when we got rejected, rejected, rejected. That’s when we got down to the last $31 in our bank account. I think we always felt–and I encourage entrepreneurs to feel this way, which is, “What’s the worst thing that can happen?” We lose. We’re young. We’re going to go back out and find new jobs. We hope that we don’t lose. We knew that to scale, to do the kinds of sales that we ended up doing, we would have to have venture money. A lot of startups can bootstrap these days. The model is completely different. But I think for enterprise software, it’s still a capital-intensive endeavor. Andrew: I was just checking to see when the Netscape IPO was. That was 1995. So, this was just after Netscape went public with no profits and showed the world that the internet could potentially be a profitable space for investors. I see. And when you went from $400,000 from investors to suddenly no money in the bank, where did that close to half a million dollars go? Caren: We had been hiring developers in particular. We had been on just paying for the overhead of the office, getting rent. And this was over several years. So, we started the company in 1996. It was almost two years before we got a venture investor. Andrew: I see. So, how was your marriage during that period? Caren: It was great because we didn’t have kids and we had a lot of energy and enthusiasm and we could talk about it all the time and we did. I could see that wouldn’t work for now. Now I wouldn’t want to talk about my work 24/7 the way we did. It was great. Having angel investors and having other people’s money really motivated us to work and keep working and keep working. Andrew: I found an article in BusinessWeek from the year 2000 that said that not only did you guys go through the $400,000, but you maxed out your credit cards. So, we’re talking about really deep, deep into this thing before you finally turned it around. In a moment, I’ll talk about what you did to turn it around, but first I’ve got to say think you to my sponsor. The company is called Toptal. If you are looking to hire a developer, you’ve got to check out Toptal. Why? Because the hiring process can be pretty tough. We’re talking about either hiring a recruiter who’s going to charge you tens of thousands of dollars and take a long time, frankly, or you go and you start placing ads online and that’s going to take a long time. It’s a very hit or miss situation whether you can find the right person. Frankly, the right people are not looking through the want ads looking to see if somebody’s waiting to hire them. Or you can maybe go and hire the lower level people from the freelance sites. But what you want is somebody who can really thank for themselves and help you think through the product in a way that you, as a non-developer can’t think on your own. So, that’s why these guys at Toptal came up with this new idea. They raised a lot of money from incredible investors. We’re talking about the bluest of the blue chip. We’re talking about Andreessen Horowitz they raised money from for this idea. They’ve just been killing it. I heard privately how much money they’re making from this and it’s incredible. And the reason is that they have this system figured out. What they did is they got this network of developers which they went through this huge screening process to make sure that everybody in the network was the right fit, someone who was the best of the best. 97% of people who apply get rejected. 97% of people who they go through get rejected. They only want the top 3% developers. Once they get the top 3%, when someone like you, my listener, calls them up and says that you’re looking for somebody on a full-time basis, part-time basis, project basis, maybe even a whole team of people, you just have to tell them what language you’re working in, what your product is, what your vision is for the business, how you communicate with your developers. You tell them all that. They find the right person for you. You get to have a conversation with them and get to really check them out to make sure they’re the right fit and if they are, you can start within 24 hours to 48–it took us 24 hours at Mixergy to hire–and then they could get started right away. That’s how fast these guys work. If you want them, you should go to Toptal.com/Mixergy and frankly tell your friends to go to Toptal.com/Mixergy because they so want the Mixergy influencer audience that they are giving us 80 free developer hours when you pay for 80. I got that deal–actually I didn’t get that deal. I signed up before they offered that deal. You can get that deal. In addition, they’re going to give you a no-risk trial period of up to two weeks. If at the end you’re not happy, you will not have to pay. 100% satisfaction is what they’re looking for within this trial period. Afterwards, you will be happy too. Go to Toptal.com/Mixergy. Caren: Sign me up. That sounds like a great company. Andrew: It really is. That’s why these guys keep upping and buying my ads. There are other companies waiting for their ads to run, like poor guy from Acuity Scheduling. He paid I think $30,000 for ads and he still can’t get them to run because Toptal and HostGator keep hogging up all the ads. But it’s working for them, so I’m glad. So, you get down to just a few dollars. I probably have more money in my drawer over here than you had in your business. Andrew: How do you turn it around? How do you get your next customers that allow you to finally lift this thing up and eventually go IPO? Caren: Well at that point, it was not a customer. It was a venture investor. It was a local venture investor from Friedman, Billings and Ramsey. He was a homegrown Washington DC area investor. And they, unlike all of the other folks that rejected us, they saw something. They invested. So, we got that infusion of cash. By the way, my husband and I took turns not taking a salary. So, everybody else was getting paid but us for a long, long time. That’s why we had to max out our credit cards too. So, after that, I think what happened is that we kept listening to what was going on in the market. We kept being willing to say no to customers like BabyGorilla.com as we started to grow. It’s really important to know who your customers are. Andrew, you probably know this. I’d love to hear your story sometime because I saw on your blog that you think that in the early days of Mixergy, you probably wasted a couple hundred thousand dollars are something like that. Caren: It’s very intriguing. In the early days, you’re casting your bread on the waters and you’re seeing where you get you traction. You have this one vision and often that vision plays out. But then there are other factors that come in and change things. So, that’s what happened with us. The toolkit, we got an integration solution, then we had a server solution. So, we kept growing, growing, growing. What we were doing was enabling business to business ecommerce and supply chain integration. So, that became a really hyped thing. We had recently changed our whole product suite to webMethods B2B. Actually, that’s one of my contributions because we were selling a really technical product called the XML application server. So, I said, “I don’t think anybody’s buying XML.” We had to just keep challenging ourselves on what’s the long-term sustainable revenue here now that we’ve taken on probably by that time it would have been $2.5 million with the angel investors and the initial round. Andrew: Was it great? When did you guys go public? It looks like it’s the year 2000, just before the bubble burst. Caren: Just before the bubble burst. So, at the time, it was the most successful software IPO in history. I think it’s probably number four now. We were priced out at $14 to $16 and then our price went up to $35 on our opening day. $35 we priced at $35, at the last minute it shot up to $35 and then it went up to like $300 a share the first day. Andrew: Was Friedman, Billings, Ramsey, the group that invested in you, were they a public company? It looks like it. Caren: I don’t know if they were at the time. Now I think they’ve diversified and I’m not even sure if the Friedman, Billings and Ramsey are even still working together. But they did a lot of other investment–they had a lot of other investment products at the time. But we only knew them through their venture fund. Caren: It blew our minds too. It blew our minds. I’ve listened to so many of your wonderful interviews, especially when you were talking to Barbara Corcoran, you said, “Barbara, how did you deal with the sudden wealth?” For us, the most important thing is that we wanted to stay grounded. We didn’t want to get swept away. We had enough experience in the past of working for managers that we didn’t think were great leaders or just the whole idea of not having the right values and what not. Our daily conversation were, “Let’s stay grounded.” We stayed in the same townhouse for a year. We drove the same old cars. We didn’t want to get swept away with it all. Andrew: And do you have any tips based on your ability to sell to enterprise, to big companies? Do you have any tips for someone who’s listening to us who says they’re going to be doing the same thing, that they’re going to go sell to big businesses? Caren: I didn’t run the sales division. I ran marketing and public relations and got involved in product marketing, but what is really important is if you don’t know how to do enterprise sales, get yourself someone on your team who does know how, who can teach you. This guy that we worked with is a guy named David Mitchell. He’s gone on to be a CEO of several companies since them. I would meet with David all the time and talk to him about what he’s hearing from our prospects and our customers. So, all of our marketing strategies and tactics were built around a very close relationship with our vice president of sales. Does that make sense? Andrew: It does make sense. Actually, it’s something that I’m seeing a lot, that when it comes to enterprise, a lot of entrepreneurs have told me that they hire people who already have those relationships, who have already sold to the customers that they want to sell to. It feels like that’s the easy entry in, either that or you’ve worked for your customers, where you work for Google and now you’re leaving Google and selling something to Google. That thing I’ve heard a lot in these interviews too. Caren: Yeah. And that’s what you’re really recruiting. You’re recruiting someone who has relationships built on trust. So, in the past, they’ve sold products into their global customer base. Those products have proven to be very valuable. So, they move on to a company that they believe in. So, the fact that we would be able to recruit and hire these folks also built our brand. There were a lot of ways that we built our reputation, but that was certainly one of them. They were willing to go back to these customers that they had sold into before since they had that relationship of trust. Of course, we wanted to have like the best customer service and things like that. Andrew: I’m looking here at my notes from your conversation with our producer here at Mixergy, where you told them that Wells Fargo was your first customer, willing to pay $27,000 and you realized that you had to get good at media relations in order to take advantage of this ad to grow when you didn’t have much money for other promotion. Media then became your number one source of leads. So, what I’m wondering is what did you do to get media, to get press, to get people to care about this stuff? Caren: I’m so glad you talked about that. I just started doing that with my new company, Pocket Mentor. You can’t see it yet because it’s all happening behind the scenes. We had actually three customers. DHL was our first. Then we had a great customer in Wells Fargo and then we had Discovery Communications, the Discovery Channel. So, three amazing brands, all of them early adopters, all of them wanting to go to market and say, “We’ve actually got the cutting edge technology that’s going to help our customers do the right thing. So, because they were motivated, because they wanted to show their brands, their customer base what they were up to, they were willing to do dozens and dozens and dozens of stories in the media because as you know, every reporter wants to hear from your customers. They don’t want to just hear your sales pitch or your ideas. They want your customers to go on the record and talk about how your solutions are helping their customers and helping their businesses. So, there must have been 30 articles on DHL, another 25 on Wells Fargo. Andrew: What’s the topic? How did you get them to cover Wells Fargo’s B2B software integration? Caren: Well, I treated media coverage as a sales event. So, I had a pipeline. I knew all the A-list media reporters and editors. I knew who A-list was. It was the Wall Street Journal, Forbes, Fortune because I understood my market. I knew that if you want to buy enterprise software, you have to have the business side of the house funding it and saying, “We want to do this,” and you have to have the technical side of the house with cheap developers saying, “Yeah, we need this,” at least that’s how it worked when we were selling webMethods. So, I knew we had to have a strong business approach and a strong technical approach. So, I had my whole A-list of business publications and my whole list of tech publications. Then I had a B-list, which where the lesser known publications and then I had the C-list. Every single day, we would pour over–my very small team and I, it was like two of us–we would pour over everything that was being covered in the space that had anything at all that had to do with supply chain, ecommerce, B2B and we’d read the articles and we would immediately before we left the office, we were there to midnight, we would email every single one of them. Andrew: What would you do if you saw an article related to your space? Caren: I would find out who wrote the article and then I’d send them an email and I’d say, “I read your article. This is fantastic. Did you know about webMethods? Wells Fargo and Discovery and DHL are using them and they’d love to talk to you about it.” That makes the reporter’s job easier. I treated them as if they were my customer. I was trying to help them develop a product that they would be proud of and their readers would like. Andrew: So, you would just go in and say who’s talking about anything related to our space right now. Let’s make sure we tell them about webMethods and how webMethods helped this other customer and we’re basically handing them the story. That was a big part of your job. That plus you also said that you created a sales pipeline essentially for getting articles, kind of like what we do here for interviews. But I’m wondering what did that look like? What did that whole process look like for getting them to write about you? Caren: Well, first of all, we had our targets. So, I devoted my resources towards going to the A-list targets. To me, the gold standard was the Wall Street Journal because I knew everyone that mattered to us was reading it–our prospective venture investors, our prospective banks who might take us public, our prospective global customers. So, that was my main goal. It took me six months, but I bought it, it was great. You know, the day that we got that, later on I think it was someone at Goldman Sachs said, “We saw that article,” they were already sort of looking at who they were wanting to take public and they said they just ripped it out and printed it out and sent it to everybody. So, that was right. My instinct was right that the Wall Street journal was so important to us. But I just had a list of all the prospects that any sales rep would have and where they were in the pipeline. When did they say call back? When’s the interview? When are they going to publish? It was interesting because if you looked at our clip books back in the day when you did clip books, the first one was like an half an inch and the second one was like two inches and the third one was like five inches because we just were relentless. We didn’t have a whole lot of money. Eventually we started doing major conferences. Our partner marketing strategy was excellent because we partnered with Microsoft. We were this tiny little startup, but we partnered with Microsoft and that gave us a much bigger footprint. I think I’ve heard from some of your other interviewees that they talk about how important it is to have a big footprint, even if you’re not there yet, it shows you vision, it keeps your employees motivated. It keeps you motivated and it gives you a focus goal. Andrew: Yeah and it seems like then people start writing about you randomly even. As you’re talking, you might see my eyes go around because I’m looking at other articles from the time and I see this article in the Standard Magazine, which was a tech magazine back in the dotcom craze that said, “Investment bankers have been parading a string of eligible acquisition targets before Microsoft, among them, EarthLink, Interwoven, Macromedia, SilverStream and webMethods.” So, now you’re just kind of getting thrown in as another company that Microsoft should buy just because you’re in the news, just because they know about you. Caren: Well, Microsoft is interesting because even though we had a really small marketing budget, one of the things that we found was very, very effective was to go into a major conference, like internet world. We couldn’t afford a big space with a booth, but they usually had these pavilions, so we could afford a pod, just a stand. So, we would go to the stand and we’d have our cute little signage and what not. So many people would stream by the stand. At one time we were in New York City. There was a startup by a former executive of Sybase. He had a startup doing something very similar to ours. They took us to dinner and on the spot offered us $1 million for the company. We said, “Let us think about it.” Then we went and had like three shots of whiskey because we couldn’t believe it. We decided at the time we didn’t want to be acquired. We really wanted to go the distance. We thought, “If our company is worth $1 million now, we must be onto something.” It turns out that company was at every turn trying to squash us. As people figured out that this was important, of course everybody thought they could do it. It just happened to help us out that we had been doing it for a while already. Andrew: So, then I see this article in the Washington Post from 2004 that talks about kind of the end for you at the company. I want to talk about it. But first, let me say my second sponsor is–do you recognize that article? I saw some look on your face as I said it. Andrew: The sponsor is HostGator. It’s a service that will host anyone’s website. They make it so easy by giving you one-click install of popular software like WordPress. If you have an idea for a business and you haven’t started, you’ve got to go over to HostGator.com and set yourself up. Now, I know that a lot of people in my audience already have businesses, already have sites, but I do imagine that you probably hate your hosting company. Well, you don’t have to stay stuck with current hosting company. All you have to do is go to HostGator.com/Mixergy and they will make it easy for you to migrate. In fact, if you’re WordPress, they will migrate for you. Is your new business, Caren, is it on WordPress? Andrew: It is. I thought so. Caren: I changed the theme. I’m going to redo it, but it’s good. Andrew: It works. It does its thing. It stands up straight, like it actually works, unlike some sites I’ve been checking out recently. Let me ask you this–if you could start a brand new business with nothing but a HostGator hosting account, you just have to start from scratch and bootstrap, what business would you start, what online company would you start? Caren: I think it’s the one I just started called Pocket Mentor. It’s a mobile app. But our vision is to grow it into a membership website where it’s like a career development, leadership training center. So, that’s what I would do. Andrew: Where people could get mentorship from people who’d already done what they’re trying to do. Andrew: So, is this a way for companies to get mentorship–and I’m going to ask you more details about this business in a moment, about Pocket Mentor–but is this a way for companies to get mentorship for their employees or for individuals like the people listening to me? Caren: Well, it started out for motivated leaders or aspiring leaders. That was the market I was going after. Our version 2.0 is in beta right now. It turns out that there is a global company who wants to do a pilot project. So, I’m still at that early stage, Andrew, where I mentioned before, where you’re trying out a number of models to see which one is going to be the one that works for you. So, it’s like a Rubik’s Cube because I’m trying to also balance do I want to take on investors and things like that. So, that’s why I’m looking now. Having a corporate partner can actually be pretty cool. So, stay tuned. Andrew: All right. And the whole thing is hosted on a WordPress site. If anyone out there wants their own site, it’s so easy to set it up with WordPress, one-click install at HostGator. Go to HostGator.com/Mixergy. You don’t have to use it as a blog. WordPress will do lots of different things like feature and app, the way that your PocketMentor.com does. Or if you don’t like WordPress at all, you can also setup so many other different sites, including ecommerce, including a forum, including a membership site, all taken care of easily by HostGator.com/Mixergy. When you’re ready to up–and that means maybe going to a WordPress site to a managed WordPress site, where they will do the upgrades for you, where they will make sure to install the right plugins or avoid the plugins that are going to cause problems for you, where they will help make sure that your site stays protected from viruses, well HostGator has a managed WordPress hosting package too. Go check them out, HostGator.com/Mixergy. So, you left to be on that foundation only, right? Caren: I did. I did. I was chairman and president of the foundation. Andrew: Okay. And the $25 million, was it shares in the business? Caren: It was shares in the business. Eventually they had to obviously cash out. The foundation was really also a pioneering foundation. But let me just explain the reason that I left to run the foundation is because we were both working so much. I’ve written about this on my blog about how one time after we acquired a company in Silicon Valley, I actually parked myself out in Colorado for six weeks one summer while our son, who was only like two and a half years old, so he could stay and be with my sister and his cousins and I would do day trips to the company that we had just acquired because I was leading the integration of the two companies. I was on the team leading it. It just became really crazy. My husband was traveling 70% of the time. You feel so accountable. When you’re running a public company, you’re on a quarterly schedule. So, I decided that by going and becoming chairman and president of the foundation, I could still be engaged in the company because we actually asked our employees to form grant making teams so that we could invest in low income families in the whole Washington DC region. Andrew: What’s a grant making team? Caren: A lot of foundations make grants. They have to apply for a grant and then that grant is reviewed and then there are site visits done, then a committee decides who gets the grants. We had our employees trained in how to do grant making. We had some experts come in, like the Myer Foundation, which is a big foundation out there. They’re the family that started the Washington Post. So, we got training in that. It turned out that the employees were really excited. Employee surveys would say, “That’s my number one reason that I love webMethods. They have this foundation and they’re letting me get involved.” So, the foundation was setup as a private foundation but we named it after the company. And it was a great way for me to return to my roots because remember, I got a degree in political science and I wanted to change the world. So, it’s just a great merging of the power and potential of entrepreneurship, which is why I love to encourage entrepreneurs. I could never have done a foundation or invested in social entrepreneurs who were helping low income families, I could never have done that if I hadn’t started webMethods. Andrew: Here’s the other thing that I see. The first sentence in this article, “Phillip Merrick, the 41-year old cofounder and Chief Executive of webMethods Inc. resigned suddenly, citing health reasons the company officials describe as stress-related.” What happened? Andrew: I see. So, he took a step back according to this article. It seems like it’s still an emotional time, as you were talking about it I can see in your eyes that this was a painful period. Caren: It was painful in certain ways because webMethods was like our baby and also I don’t feel comfortable talking about it. That’s my husband’s story. He’s now actually CEO of Message Systems, which delivers 25% of the world’s email for LinkedIn and Facebook and Twitter. But yeah, we all took some time off. We just became angel investors. We invested in our foundation. It was remarkable. It was remarkable. But I can’t tell that story because that was his story. Andrew: Is it too personal for me to ask if the two of you are still together? Caren: No. We’ve been married for 23 years. Andrew: Oh, good. I thought so. I thought, “Man, after all this, it would be so sad if you guys weren’t.” And then the article ends by saying that, “Merrick, a father of two, is still webMethods largest individual shareholder, holding 2.7 million shares or about 5.1% of the company,” which wow, after all those rounds of angel investment and funding back then is pretty impressive. “His stake is worth $15.4 million at yesterday’s closing price of $5.69.” And then it gives his salary, $187,000, which is really low for a CEO of a publicly traded company. Did you guys do okay after that? Did you start selling shares after or did you get hit when the market kept going up and down? Caren: We had already been selling some of our shares. So, yeah, we’ve done very, very well. Yes. We are extremely blessed and proud. We were never in the company to get rich, but once we had investors, we wanted to help them become rich. But we’ve done seemingly and abundantly all that we could have ever asked or imagined. Caren: Well, our investments have done really well and we’ve also been angel investors. So, we’ve stayed engaged as angel investors over the years. But it’s interesting too because right after we went public, a good friend of mine gave me a book called “The Joy of Not Working.” I looked at that book and I thought, “You don’t know me as well as you think you do because the last thing I want to do is retire. I love to learn and grow. I love to do new things. I felt like I had at least one more startup in me after being an angel investor for so many years. The idea for Pocket Mentor really came up through my travels because so many people asked for meetings. They want me to look at their startup. They want me to look at their ideas. They want me to mentor them or someone on their team. So, I decided to cobble together my own experiences, the wisdom of the ages, the latest research and put it all into a mobile app, which I believe is the new way of consuming anything published at all. Certainly with millennials, about 60% of any information they get is on their smartphones. I wanted to make it really convenient. It’s on their smartphones. People are already looking on their smartphones every day. I wanted it to be easy to find the information. There’s a perennial market for this information. You can see even if you look at the business bestsellers, at all the online membership websites where people just want advice. Let me tell you a story. Recently, I was having breakfast with senior vice president of a major consulting firm. She is a West Point graduate. She is lacking in confidence. She was saying, “I’m not sure what to do about this and about that.” I said–I’ll just make up a name–“Pat, you know what to do.” But people forget what they know. I wanted to make this easy to find information that you need every day. Andrew: I’ve got the app right here. Andrew: I don’t know how much people can see. I usually don’t show apps because it is kind of tough to see. What’s the first thing we should be doing when we get into this app? I know I’m looking at version 1.0 and you’re about to come out with 2.0. Caren: Yes. Thank you. So, the app is setup to be the first–it’s a daily read. It’s daily insights and advice meant to be read on the go, meant to be quick because it doesn’t take that long to change your mindset or get an idea you can use. So, the first five days, we lead you through a process. The first one is self-discovery, understand your strengths. The second one is find your purpose, define what your purpose is because so many people are unengaged in what they’re doing and they say, “I don’t’ like what I’m doing. I don’t know why I’m doing this job.” I think a lot of people will actually find nuggets by going through the exercises in the first few days of the app. Andrew: I see, so find your purpose. I’m looking at that one article you mentioned. I’m supposed to ask myself questions like what do I love to do? What am I exceptionally good at? Why do I exist? Why am I here? Those kinds of questions. You’ve given me some samples. And then there’s a note section where I can respond and leave that note for myself, right? Caren: Yes. You can even program reminders in your notes to say, “What are my goals for the day?” You can get a notification every day to remind you what you should be focusing on. Caren: Recently, one of my customers said, “I read this. It was exactly what I needed to read. So, I sent it to everyone on my team,” and to her customers. What she does is she runs a membership organization. It’s online for women business owners. So, she’s one of the hub with spokes partners that I was talking about because people are craving this. Andrew, you actually provide this really well. Caren: You actually provide through all the people who you’re interviewing, people like me, that is a form of mentoring. I always say there are a variety of ways to be mentored. Some of the people who have been most influential in my life, I’ve never even met them. That’s why what you’re doing, I may never meet half of the guests on the show, but I can get ideas that transform me from them. That’s the goal of Pocket Mentor. Andrew: I see. I get that. I just had a conversation with Clay Collins, the founder of LeadPages. He said, “I used to live in the middle of nowhere. I had no connection to any of these tech startups. 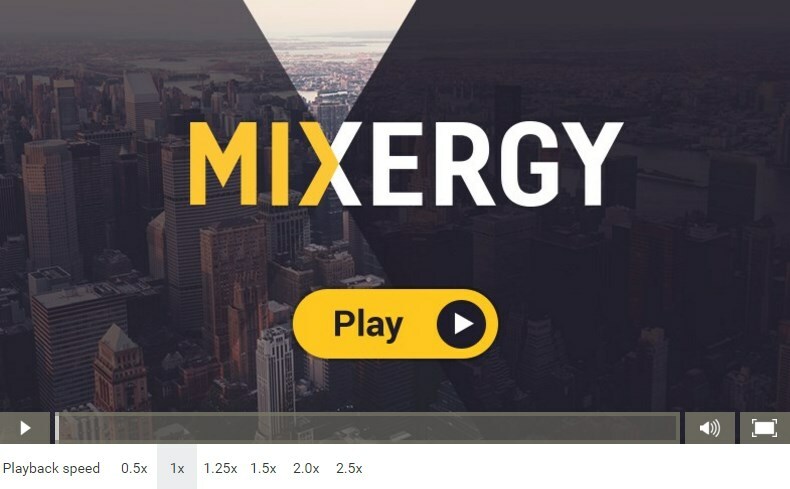 By listening to Mixergy interviews, essentially I was being mentored by these people.” So, I get what you’re saying and I get the goal of this app here. It looks like it’s free until a point where there’s a membership. Andrew: What do you get in the membership? Caren: Well, it’s a subscription. It’s an annual subscription right now. We’re going to a monthly subscription. We’re going to have a monthly subscription as it’s going to be, which is $4.99 a month and then after that there will be premium content and a membership website that you can opt in to. Andrew: Okay. And the website is YourPocketMentor.com for anyone who wants to check it out. Andrew: All right. Thank you so much for being on here. Congratulations on your success. Caren: Thank you, Andrew. It’s been great speaking with you. Andrew: You bet. Thank you all for being a part of it. Remember, the site is YourPocketMentor.com. The two sponsors are HostGator.com and Toptal.com. I’m grateful to them both for sponsoring. Thank you all, bye everyone.